Jan - 26 | By: Alise Munson | no comments. HouseSpecial is expanding our roster of production coordinator talent for upcoming CG and stop-motion productions. 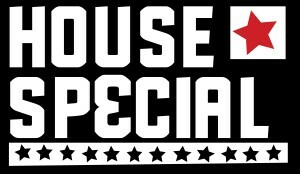 To be included in our production bullpen, submit your information via housespecial.com and select Future Positions. Experience in producing animation is always helpful. Tracks all project activity from preproduction through delivery of masters across CG, Stop-Motion and Mixed Media animation projects and Live Action shoots. Maintains and updates crew lists. Communicates scheduling information with freelance and staff artists, including specific instructions from directors and producers. Is well versed in day-to-day progress of projects and with EP oversight, is able to assist in project management if a producer is out unexpectedly, on business or on scheduled vacations. This entails both internal line producer activities as well as external communication with the agency and clients as needed. Records and distributes dailies’ notes, along with distributing schedules, storyboards and reference materials. Tracks received production elements and coordinates shipping. Arranges or runs errands including working meals and general production errands. Assists producers and directors with miscellaneous tasks. Ability to juggle various priorities and deadlines in a fast paced environment. Working knowledge of MS Office programs including Excel, Word and PowerPoint. Working knowledge of Adobe Photoshop, Acrobat and Shotgun. HouseSpecial can make anything move. We are animation experts. Our Portland creative team is globally known for our ability to develop characters in narrative environments for iconic brands like M&M’S, Supercell’s Boom Beach, Planters, Apple, ESPN, Target and Honey Nut Cheerios. We have collaborated with advertising agencies Barton F. Graf, Goodby, Silverstein & Partners, Wieden+Kennedy, TBWA\CHIAT\DAY, Leo Burnett and BBDO (and many others…) on hundreds of spots – many of which earned big awards and are part of advertising lore.